The cast of this TV show remake are as hot as you can imagine. 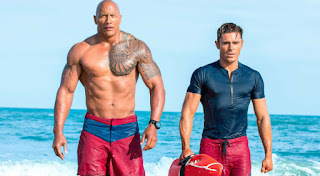 There was no hiding the hunky beauty as The Rock Dwayne Johnson and Zac Efron play lifeguards in the new Baywatch movie, the much-talked-about update of the ‘80s TV series that starred David Hasselhoff and Pamela Anderson (both of whom will have cameos in the film): That should be interesting. 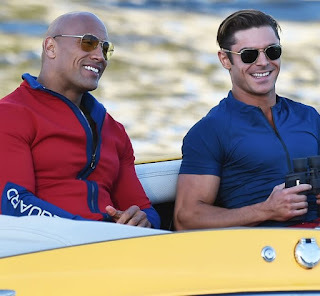 Who would blame the ever eager Paparazzi who appeared almost daily on the movie’s Florida set to grab beefcake shots of the cast that includes Alexandra Daddario (San Andreas) as Efron’s love interest and Priyanka Chopra (Quantico) as antagonist Victoria Leeds. And now EW has an exclusive shot of its own that features Johnson and Efron walking the shore and looking downright incredible. “When you’re out on beach and open water, there’s nothing you can do to get out of the line of sight [of paparazzi], so we just kind of embraced it,” says director Seth Gordon (Horrible Bosses), who made doubly sure the flick included lots of winks to the series’ signature cheesecake moments. The Rock was recently named sexiest man alive, while Efron is no pushover in the hunk department.